The State Library compiles and maintains a variety of directories for different types of Ohio libraries. These directories are available for the public to view, download, and print. If your library has updates for any directories compiled by the State Library, please email Julia Ward at jward@library.ohio.gov. 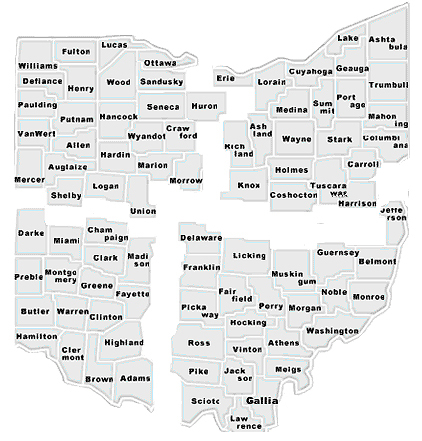 Ohio has 251 public library systems with 481 branch locations. The Excel workbook has directory information for all 251 public library systems in Ohio. The first tab of the spreadsheet has contact information for all main libraries and the second tab has branches. The third tab includes the main libraries by county locations. Two of the libraries are located in two counties and therefore are listed twice on the third tab. The State Library of Ohio’s total amount allocated the Regional Library Systems for each fiscal year is $500,000. Each regional receives $125,000. The Federal Depository Library Program (FDLP) was established by Congress to ensure that the American public has access to its Government’s information. GPO (Government Publishing Office) administers the FDLP on behalf of the participating libraries and the public. Information products from the Federal Government are disseminated to these nationwide libraries that, in turn, ensure the American public has free access to the materials, both in print and online.